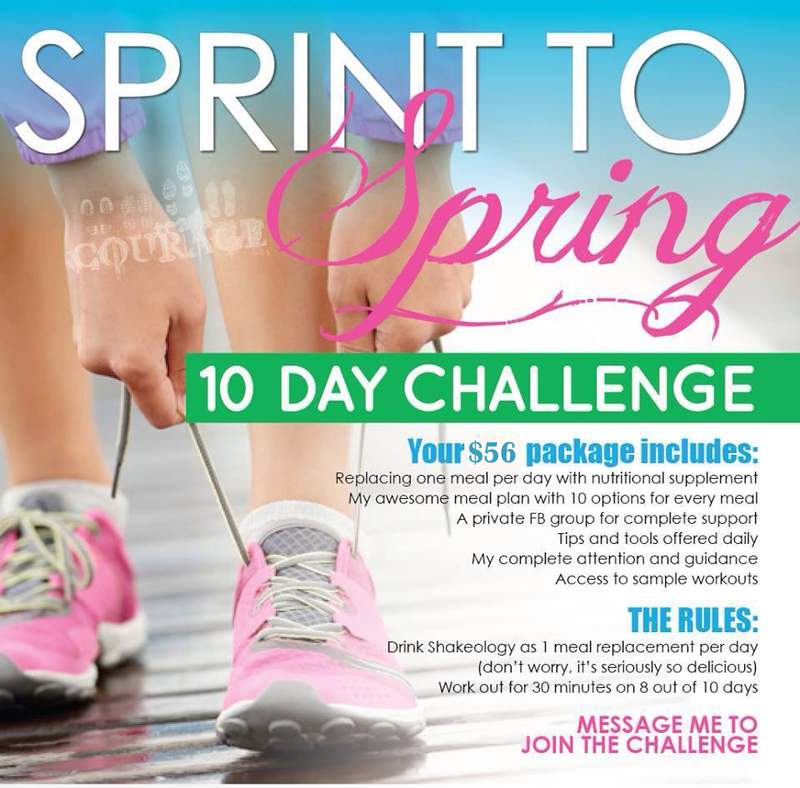 Join my next 10 day Spring Jump Start Challenge on May 4th, 2015. This group will help you learn what to eat, how much, how often and more -- really learning how to be healthier and change your lifestyle. It will help you break bad habits and create new habits. I'll get you started by providing the tools, support and accountability you need. My goal is to give you a place to start, so you can have that "jump start" to a healthier happier life. The average weight loss is 5-8 pounds. Apply below for the group. Cost is only $56. *Spots are limited to 5 ladies. Please fill out the application below. "I want to thank you for all your help. You have truly been a blessing and an inspiration to me in this short time. This 10 day challenge has changed my life and shown me that change is possible." "I just want to say thank you to everyone. It was a good 10 days. I lost 8 lbs. and 8 1/2 inches." What Do you get for $56? A private Facebook group for support, accountability and encouragement and daily interaction with a small group of other ladies just like you. Chance to win a cool prize!